Instructional and fun! 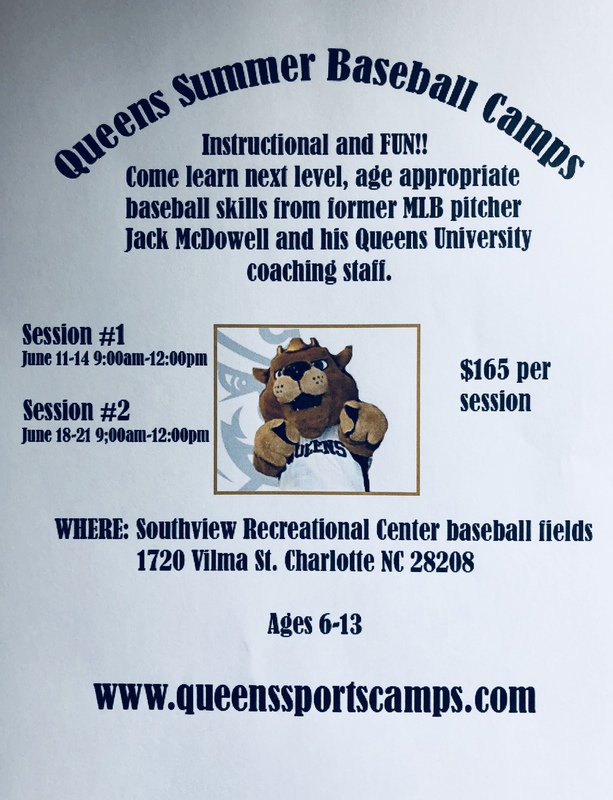 Come learn next level, age appropriate, baseball skills from former Major League baseball player Jack McDowell and the Queens University coaching staff. Also click here to check out more information. To sign up for these camps or learn more information please contact . Parents can also learn more by clicking these links below. Half Day Camps are $160 and Full Day camps are $320 per session. Call Trifecta Athletics directly to register (980-354-4344).